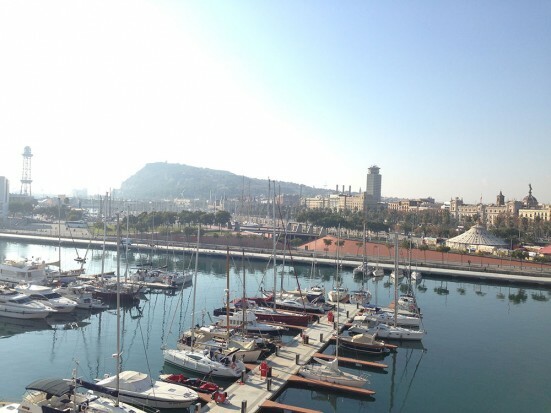 Barcelona is a city that should be written with capital letters, a place where every single day deserves to be enjoyed. Barcelona is my favorite city to spend my days off, when I do not have to work. For me, an ideal Saturday in Barcelona is to enjoy the city and visit my favorite places, those where I feel at home and make me feel fulfilled. These places do not always appear in the tourist guides, but they are equally worth it and that is why I want to share them with you. The best way to start the morning is with a good coffee and a full breakfast on the terrace of my house, with the heat of the first rays of sun and overlooking the streets of Gràcia. I enjoy this even in winter. Then, in my sports clothes, I start my routine running session in a privileged place: the Park Güell and its surroundings. I’m crazy? No! Early in the morning these gardens are free of tourists and this is the perfect place to practice some sport in the nature, near home and overlooking the whole city. Everyone knows the beauty of Barcelona, it’s history, its architecture, its people. It is true that walking through the streets and alleyways of the various neighbourhoods can sometimes feel like you’ve been taken back in time, back to a period of imperialism and decadence. 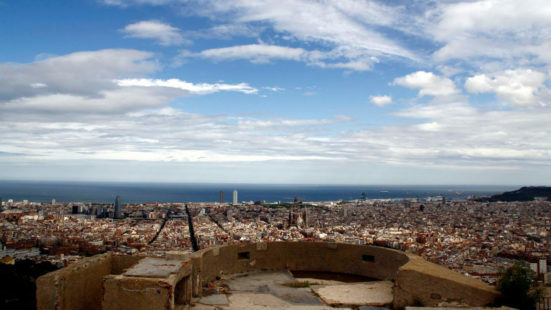 However Barcelona is just as beautiful from afar, if you want to step back and take it all in there are a number of great viewpoints in Barcelona that give you a unique view and perspective of the city. I’ve always loved Barcelona. Each time I visit, I am always reminded of how I never want to leave. 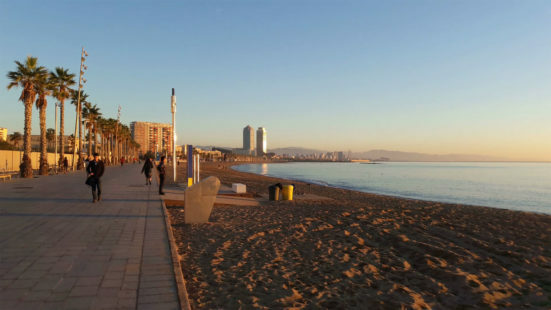 It’s the history, the beach, the viewpoints, the Catalan pride, the most amazing food and the ability to travel back in time just by walking through the city’s neighborhoods that draws me in. 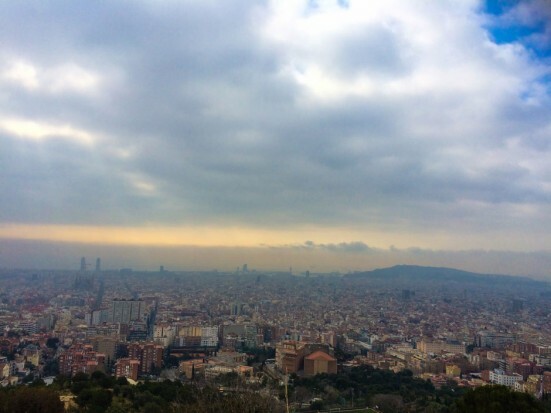 My perfect day in Barcelona starts early – sorry non-early risers, skip to the Catedral de Barcelona part. 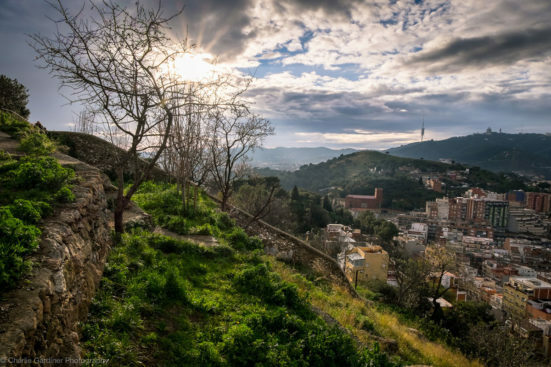 At about 7am, I make my way up to the Bunkers del Carmel and either intentionally (or unintentionally) take an unconventional route that leads me to one of the most fantastic views of the city. I take my time to meditate, do yoga, pet thousands of dogs, observe the city waking up and wait for the sun to finally come out. My name is Mat, I’m 39yrs old and I live in Southampton. (I moved down here from South of London 20yrs ago and have stayed ever since). My first trip to Barcelona was for La Noche Vieja (New Year’s Eve) in 2004. It was around this time that the “no frills” airline boom really started to take off (no pun intended), and quite a number of my then work colleagues booked short breaks to Barcelona via Ryanair’s Bournemouth to Girona service. Tying in with this my family normally had a couple of nights somewhere in the UK or France for NYE, so given the great things my work colleagues said about Barcelona I suggested to the family we went to Barcelona… and that’s where my 10yr (ok, its 11yrs and counting) obsession with Barcelona started.